This VINTAGE package of PAPER COASTERS was "Made in Japan." It includes a total of eight (8) coasters. 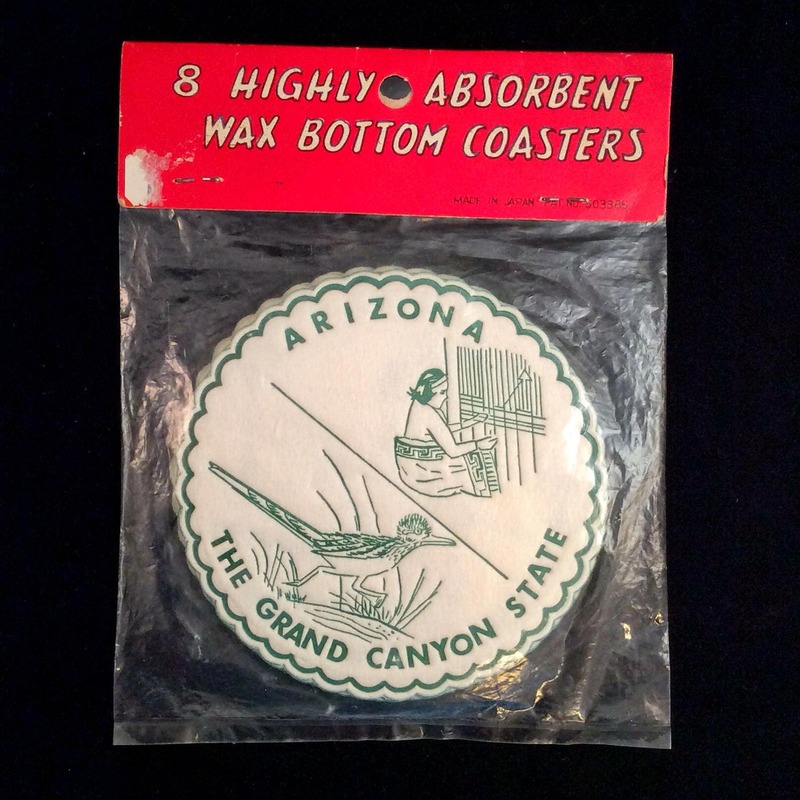 "8 HIGHLY ABSORBENT WAX BOTTOM COASTERS"
DESCRIPTION: Round with white background. Green-bordered, scalloped edge. 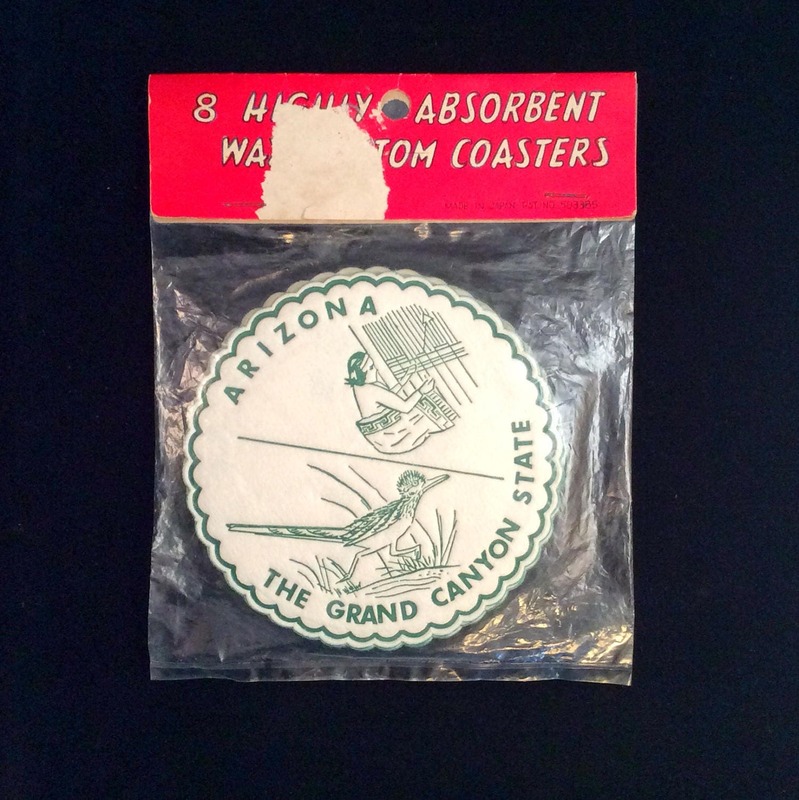 Coasters are souvenir items, for ARIZONA: THE GRAND CANYON STATE. Features two scenes: 1) a Native American woman working a weaving loom, and 2) a Greater Roadrunner. CONDITION: Previously Owned, Never Opened. One side of card stock (packaging) shows sticker damage. Coasters in great shape.